Current affairs programme. John Sweeney meets people who accuse the RSPCA of being heavy-handed and asks why an RSPCA branch rehomed dogs imported from Europe. The RSPCA, which has been rescuing and protecting animals for almost 200 years, is one of the best-loved charities in England and Wales. Last year it secured nearly 1,500 convictions for animal welfare offences. 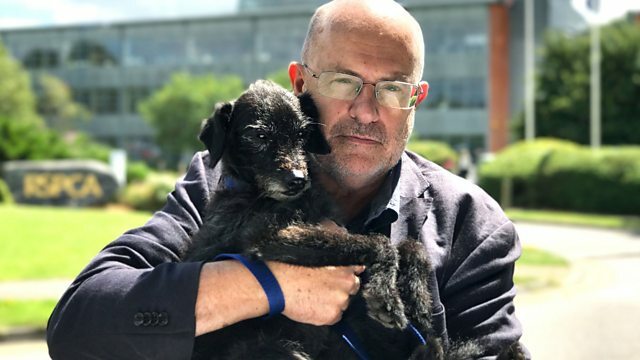 Now Panorama's John Sweeney - and his dog Bertie - meet people who accuse the RSPCA of being heavy-handed by prosecuting them and taking away their animals when help or advice would have been more appropriate. He also asks why an RSPCA branch rehomed dogs imported from Europe. Following the RSPCA chief executive's sudden resignation in June, John investigates what's going on at the top of the charity and meets former senior insiders who have concerns about the charity's governing council.